You have a $250,000 investment and no one told you! I’m a financial planner with four children. I must confess, it’s difficult to anticipate the expenses associated with raising children. No one told me that my son would eat twice as much as his old man. No one warned me that my daughter was going to be a passionate swimmer and the cost of goggles were so expensive. As for the little ones, I never knew the price of pull-ups could add up so quickly. It isn’t cheap to raise children. Per a study conducted by the USDA in 2013, parents should plan to spend around $13,000 per year per child. If you’re expecting a newborn and on a tight budget already, you’ll need to cut out “the fluff.” To be accurate, cut out $1,083 per month ($13,000 per year) of fluff. Now, for most people, the extra cost is associated with housing. The arrival of children raises an awareness for the need of a little elbow room. Couple the housing costs with health care and food, and you’ve accounted for most of the increase in expenses. If you decide to have three or four children, you get something we business people call “economies of scale.” This is the idea that costs don’t continue to go up at the same pace because resources are shared. Bunkbeds, bulk cereal and discounts on family health insurance prevent the third child from costing $13,000. The research from USDA states that parents spend around 22 percent less per child when adding a third or fourth. Overall, the lifetime expenses for raising a child is close to $250,000. As I said before, I have four children. In other words, I have $1 million of investments. To me, it’s an investment, not a liability or cost. With that attitude, I don’t get discouraged. I just adjust my lifestyle to account for the cost of raising children. How do you get on the right track to proper savings? Download this complimentary worksheet to help you budget your money correctly by organizing it into five buckets. Is our parenting sports agenda to keep kids safe and to build confidence? If so, you can be prudent and reasonable in your investment in children’s activities. But if you have an ulterior vicarious subconscious motive, you are making a mistake. Soccer Mom and Football Dad: Don’t fight the odds. According to College Solution, the average NCAA athletic scholarship is less than $11,000. Think about this: Your collective spending on private lessons and expensive gear will result in a return on investment of $11,000. Any good business person will tell you that it’s not a good investment. Maybe your child is uniquely talented and can hit the baseball further or has mastered a back handspring before all her friends. In this case, you just might fall into the category of getting blessed with an athletic scholarship. If you believe it’s sustainable both physically and emotionally, you’re not being realistic. Only 2 percent of high school seniors actually get a sports scholarship. Part of your concern that motivates your athletic investments may be with the idea of the looming higher education bill. Yes, higher education cost is out of control. According to recent data, a “moderate” college budget will be around $25,000 for an in-state public college. With most families simply fighting to keep health costs down, a $100,000 bill is beyond frightening. No wonder we parents put so much pressure on athletic excellence! However, planning ahead can alleviate some of the stress. 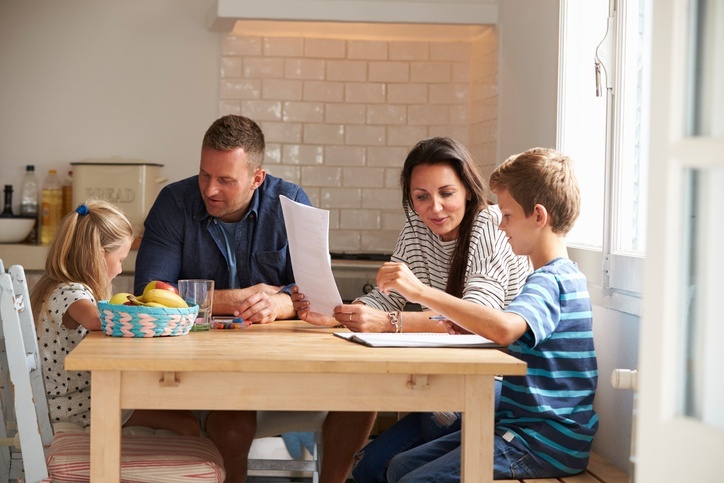 Financial planning for parents should include a plan for education. Saving for college early in life can make the cost easier to stomach. Below are a few ways to alleviate the pain. Should you be fortunate enough to start saving the day you receive your child’s Social Security number, it would require you to set aside $150 per month to pay for a four-year state tuition (assuming a 10 percent annual rate of return). However, each year you wait, you’ll need to add to that $150 outlay. Don’t delay, start saving now no matter how late you are. 2. Consider a non-traditional approach. Too many students spend $100,000 on a bachelor’s degree that has zero relevance and application to employers. As an alternative, your child may be a great candidate for trade school. There are so many professions out there that allow someone to make money without a traditional college degree. For example, your child may be an incredible dental hygienist, a profession that just so happens to have a median pay of $74,040 year. Or maybe they can deploy their video game skills in a respectful field like a web developer, which has a median pay of $67,990 per year. 3. Think outside your alumni. Some accredited four-year universities have lower costs associated with brick and mortar and expensive faculty. By working with the local community, they are able to create relevant four-year degrees at a fraction of the price. The above three ideas are just scratching the surface to the many ways to absorb the higher education problem. Hopefully, it gives you just enough hope to reframe your approach to the sports scholarship wishful thinking. No matter what stage you are in in your financial planning, PAX Financial can help. Contact us to see how we can help ensure you’re on the right track to accomplishing your financial goals.